Product #17702 | SKU LC-77 | 0.0 (no ratings yet) Thanks for your rating! 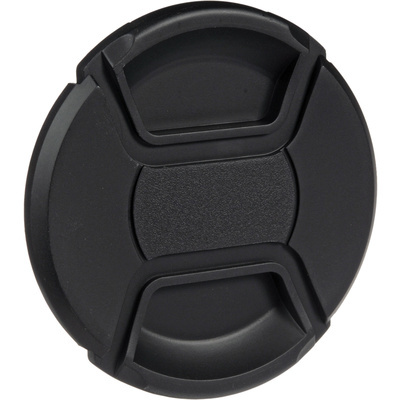 The 77mm Center Pinch Snap-On Lens Cap from Sensei is a 77mm front lens cap with a squeeze, spring and snap-on mechanism. They're easy to put on and take off, especially when using lens hoods, and they stay on. Lens caps protect your lens from scratches, fingerprints and the elements when the lens is not in use. It's always good to have a spare in your camera bag, too.